Are you looking for Tutors in Cumbria? The Cumbria office of Clever Tutors is a professional provider of private one to one home tutors in a range of school based and professional study subjects covering all urban and rural areas within the location of Cumbria. We have tutors in Cumbria that cover a range of subjects including maths, English, science and entrance exam tuition. Areas covered in Cumbria include: Workington, Whitehaven, Cockermouth, Cleator Moor, Frizington, Ulverston, Barrow, Carlisle, Maryport, Wigton, Carlisle, and many more. The Cumbria office is run by Dr Alan Watson a professional educationalist who holds both a BA (Hons) degree and a PhD in education. Dr Watson has a passion for, and a professional approach to learning, and strives to ensure that all students achieve their very best whatever their ability. We offer tuition at most levels, ranging from primary, secondary, post 16 and undergraduate/degree levels of study. Our tutors in Cumbria, specialise in a wide range of disciplines from the core subjects of maths, English, science, languages, to sociology, history and degree preparation of sub-disciplines. In addition, we offer tuition in a variety of musical instruments in Cumbria, from beginners level to mastery, including exam preparation. We have private tutors in Cumbria that cover the following subjects, at KS1, KS2, KS3, GCSE, A level and undergraduate/degree level. TUTORING FOR THE QUEEN ELIZABETH GRAMMAR SCHOOL PENRITH, 11 + SELECTION TESTS. Tests in mathematics, Verbal & Non-Verbal Reasoning Available. Theses tests are generally available at the school in Late September or Early October with the results available the following March. They are a popular alternative for parents when choosing a secondary school. An Informal discussion can be arranged with an experienced Tutor to facilitate these tests. In addition to providing high quality 1-1 tuition at home, Cumbria Clever Tutors can also provide services direct to schools and colleges. Cumbria Clever Tutors supplementary and alternative educational programme for schools and colleges offer a student centred 1-1 and/or small group provision (maximum of 5 students), focused on embedding a culture of high expectations emphasising personalised academic and developmental progression offered right across the National Curriculum from Key Stages 1 to 5 and above. We believe at Cumbria Clever Tutors that transparency of fees is important for prospective students and their families. We do not charge registration fees, finding fees, or administration fees. 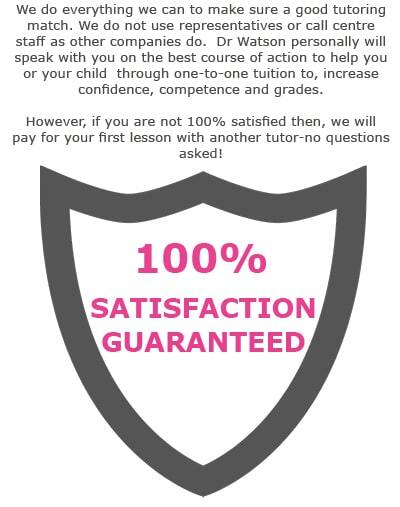 All the work we do upfront in finding the perfect tutor is completely free of charge, and comes with no strings attached. You will only pay if you go ahead with one of our tutors, and everything is rolled into the prices, quoted below. This ‘no hidden fees policy’ makes us pretty unique among providers of educational home tuition. We just love simplicity and transparency. If you are a tutor looking for tutor jobs in Cumbria, please apply direct to the Cumbria office. After having our most successful year to date in supplementary education, Cumbria Clever Tutors are implementing World leading technology in the form of Bramble. This delivers the impossible with better access to tutors, creating better revision materials, and automated reporting from the best in class software, thus offering the student more flexibility and reach in directing the power of technology and the internet towards online tutoring.